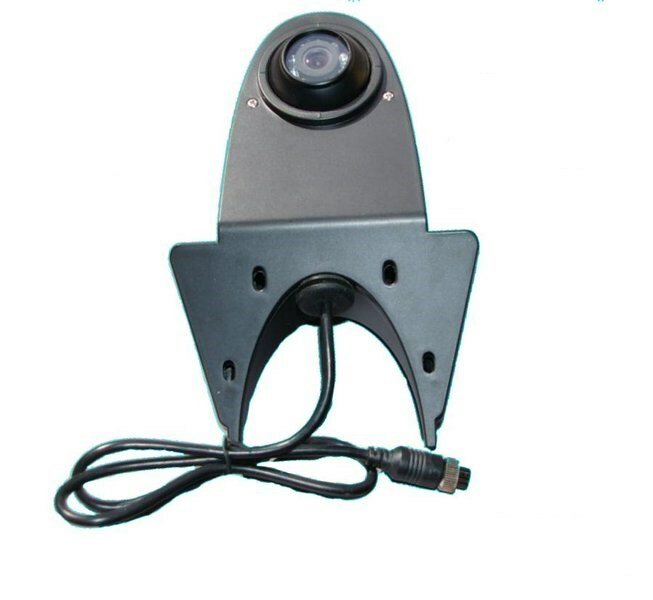 This CCD reversing camera is designed to fit on the roof of modern vans with doors that reach the very top. The camera is in the shape of a ball on the end of a bracket that lifts and projects the camera away from the roof as shown in the photograph below. The one photograph shows the field of view obtained by this camera. 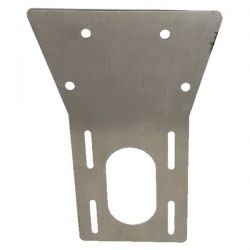 At a typical mounting height it will cover the full width and more of the vehicle. We find manufacturers quoted camera angles are always inaccurate which is why we show the camera in a real situation. In this case the 120 degree angle quoted is an exageration.